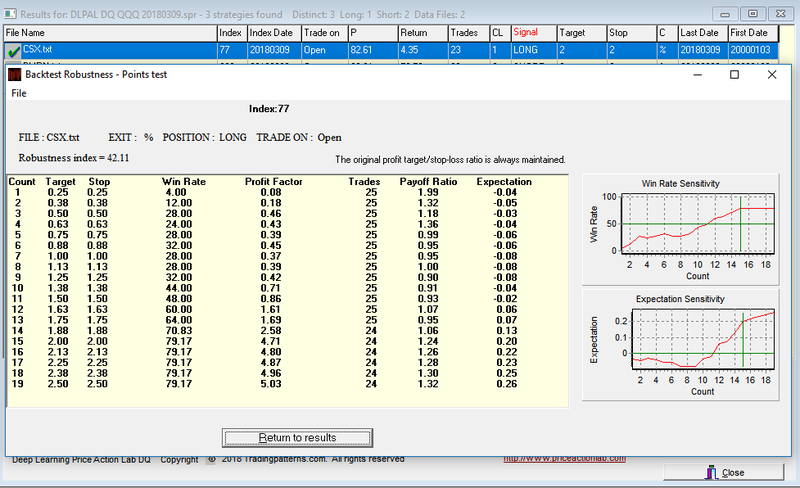 Conflicting signals are rare in DLPAL DQ daily quantitative scans. Here is recent example along with suggestions of how to deal with these rare situations. There is a long and a short signal for CSX. This is rare and a way of dealing with this is by applying validation. Below is the output of a portfolio backtest in all Dow 30 stocks with data since 01/2000. Although the results for the long CSX signal are satisfactory, the results for the short signal are also satisfactory since a profit factor of 1.01 for a short pattern is relatively high. The signal for BMRN is discarded based on this test alone. The results are disappointing. 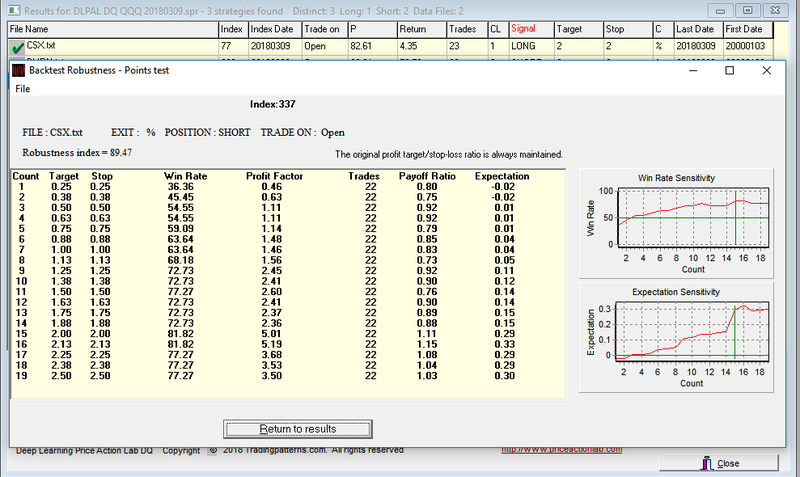 Robustness index of only 42.11 is very low and indicates high probability of a random long signal. Note that Robustness is useful in disqualifying patterns, i.e., low Robustness is usually an indication of randomness but high Robustness may be due to curve-fitting and it does not help much in decisions apart from moving to the next validation step if one is available. Therefore, based on this test the long CSX signal is discarded. 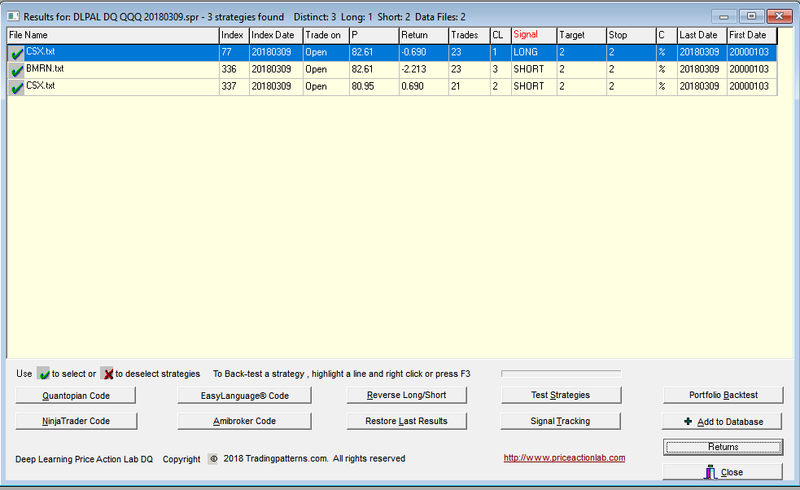 Below are the results for the short CSX signal. In this case the Robustness Index is 89.47, which is higher than the value for the long signal and above 80, which is a typical lower bound for passing the test. 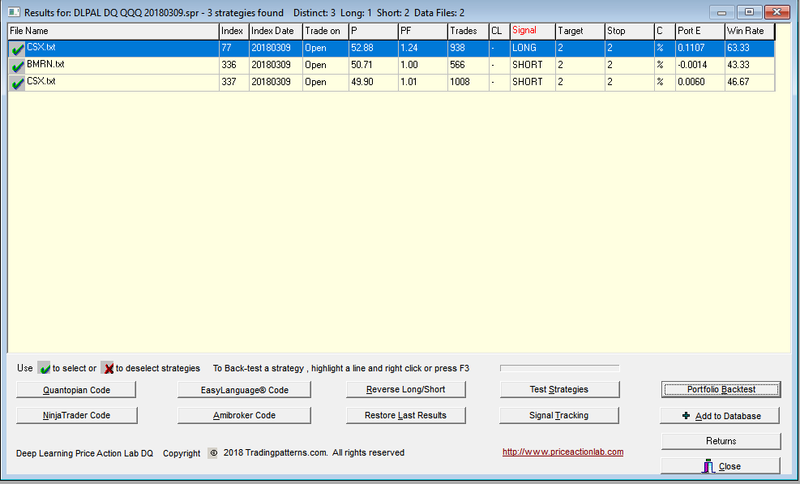 The long-short conflict actually helps in a way to decide here in favor of the short signal. Below are the returns for the next trading day, Monday, March 12, 2018, from open to close of the day, shown under Return. If fact, the short signal gained 0.69% while the long lost 0.69%. In this case our methodology worked. But it may not work always. 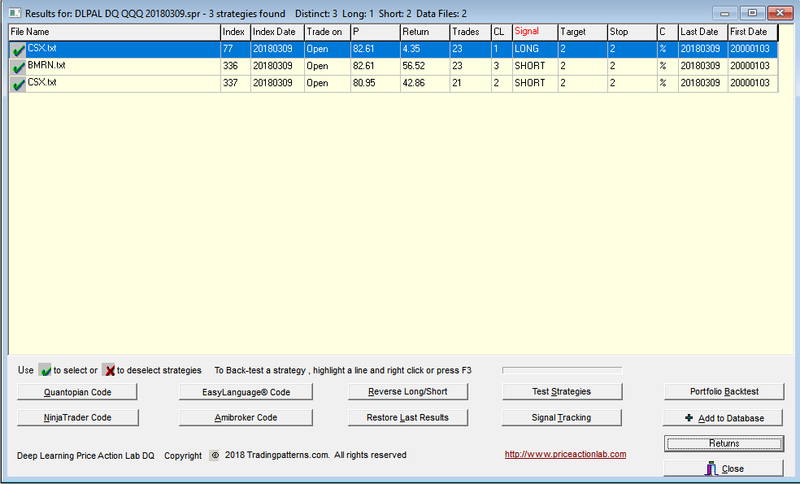 Methodologies are also like trading systems and they have a win rate. The best choice is a combination of a high win rate system and a high win rate methodology. But there will be times when the methodology breaks down. This is one reason why discretionary trading is difficult.